Exhibition at " the Space Gallery"
Level 9, 55 Hunter Street, Sydney. Selected Finalist small works at Hunters Hill Art Prize 2016. 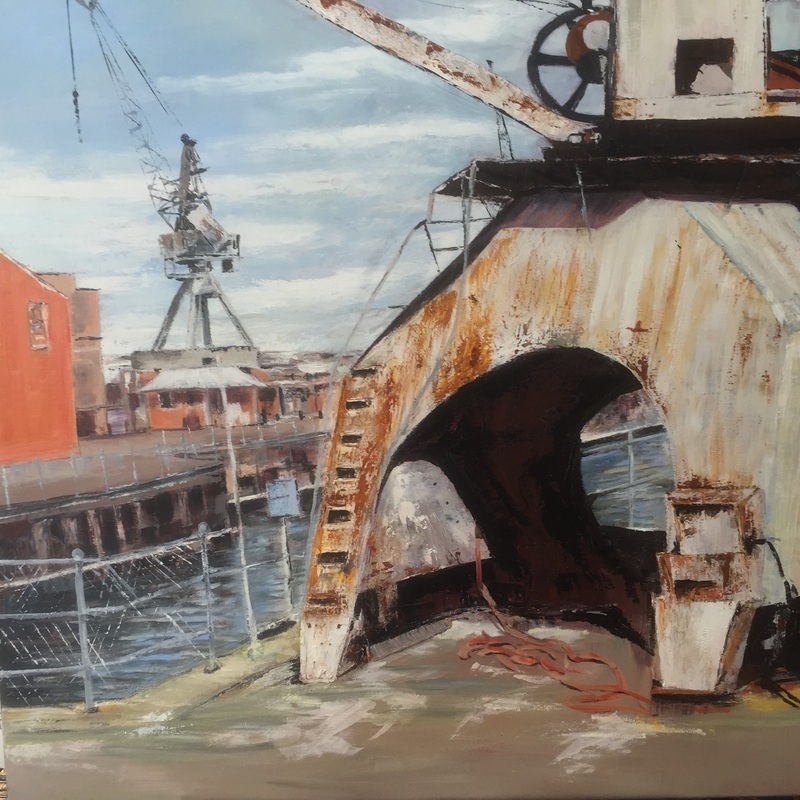 To be Auctioned at the Willoughby Art Centre [WAC] October 18th 2015. Sold. 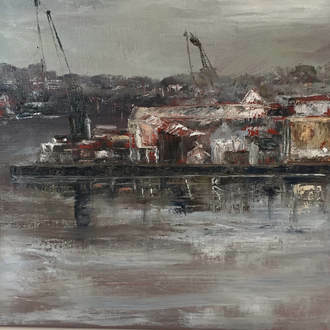 Above below...... Balmain to Cockatoo Island Oil on stretched canvas. Sold. Above top...... Cockatoo island from Clarke Point. Above...........Cockatoo Island Nos 4 and 5 oil on canvas Sold at Kings College Art Exhibition 2011. Below...........Cockatoo Island" At rest,at last." oil on stretched canvas. Sold Paddington Art Market 2014. 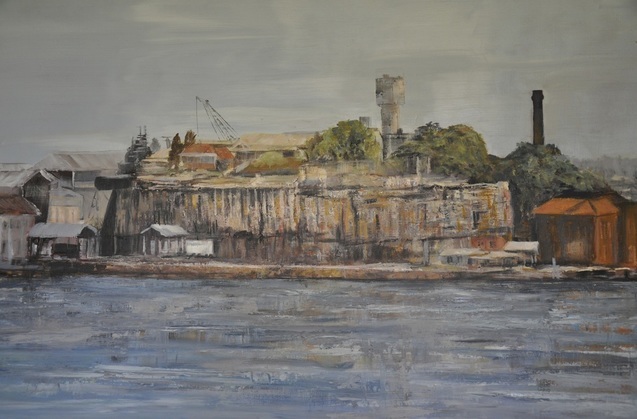 One of two paintings I did of Cockatoo Island in 2010. The other painting was a finalist in the Warringah Art prize in 2010 and was sold at the Exhibition.